To accept, I must list 7 things about myself and then nominate other bloggers for the award. 1. The first meals I learned to cook were fried eggs and boxed macaroni and cheese. 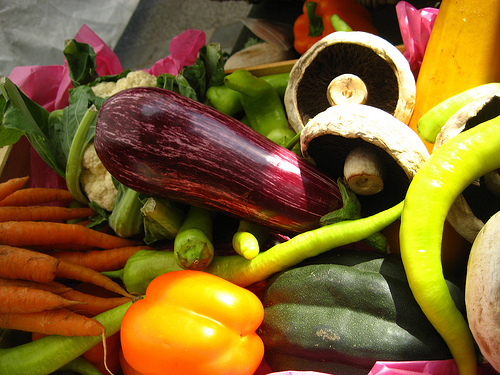 I subsisted off these delicacies until after college, when I discovered the vegetable. 2. 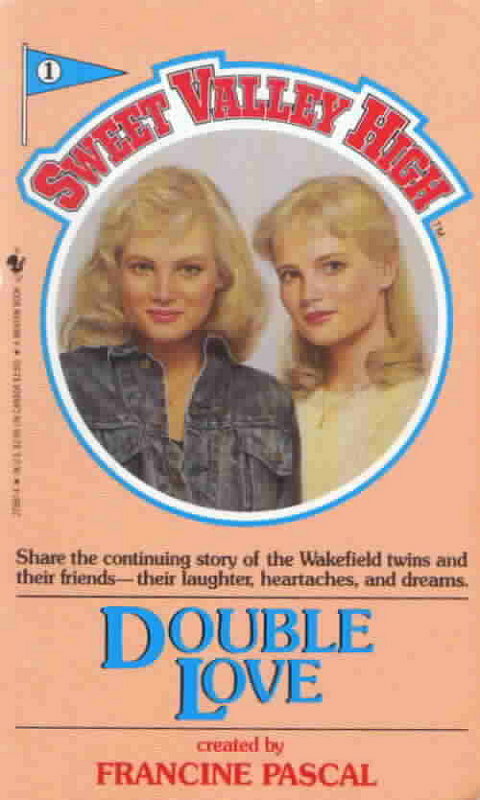 In elementary and middle school, I was obsessed with the Sweet Valley High books. There were about a bazillion of these books published and up until I read the full list books posted on Snark Valley’s blog, I thought I’d read a good chunk of them. Clicking my way down the list, was a short trip down memory lane that began with Double Love and ended with On the Edge. I was so in love with the series, I had the board game and forced my mother to play it with me. Meet the Wakefield twins: Elizabeth and Jessica. They are both a perfect size 6, with perfect blond hair and perfectly blue eyes. 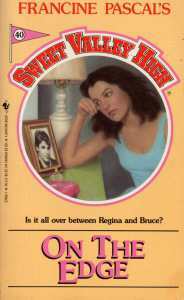 And everything is usually perfect in Sweet Valley, or at least at the end of the book it is. I think Regina is sad because she has brown hair, unlike the perfect Wakefield twins. When my mom and I played I’m pretty sure I made her be the “nerd” and I probably cheated. I don’t think it was her favorite game. But I do still wonder, did they all find their boyfriends in time for the big date??? 3. I knew my husband was “the one” when he hula hooped on our first date. 4. Lets the cat sit on his lap until his bladder is bursting, because he doesn’t want to disturb him. Aw… so cute. 5. Uses the fact that the cat is on his lap to make me his waitress: “I can’t reach my water glass. Where is my phone? Will you bring me an Oreo?” Uh… not as cute. 6. Doesn’t fart in front of me on the first date. Inevitably, this will happen. And it will happen more and more as the relationship continues. 7. Listens intently to every word I say on the first date. Inevitably, this stops happening. And it will happen less and less as the relationship continues. 8. Is willing to partake in activities he’s not very good at, such as hula hooping. 9. Is willing to partake in activities I’m not very good at, such as cleaning, doing laundry and making dinner. 4. 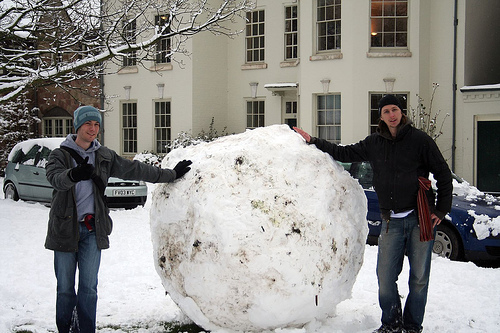 I college, I took a snowball to the face and ended up on the cover of the college newspaper–my parents were so proud. If I were more organized (and less lazy), I would unearth one of the papers from my basement and post a pic. But let’s be honest. That’s not going to happen, so you’ll just have use your imagination. Here, I’ll give you a little help. 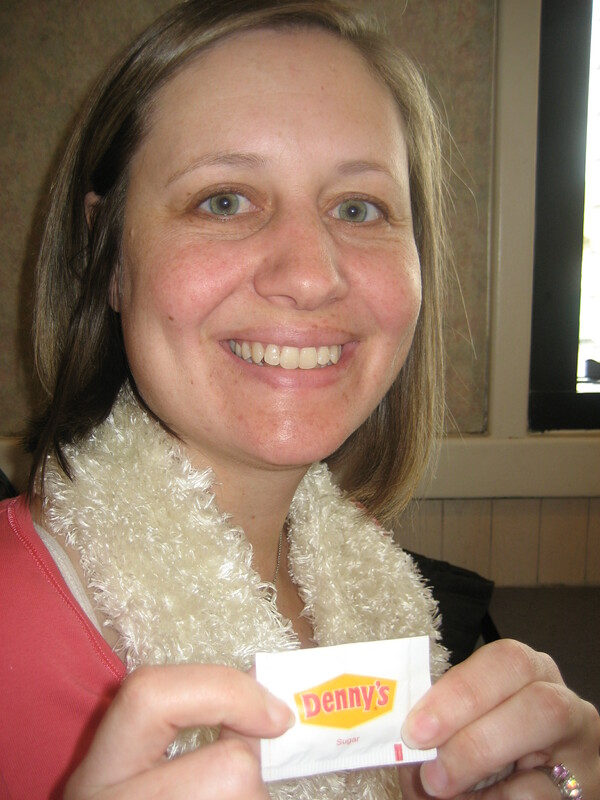 Imagine me, only about 15 years younger and without a packet of Denny’s sugar. 5. Most people book a hotel based on price, location or amenities. I look for animals. 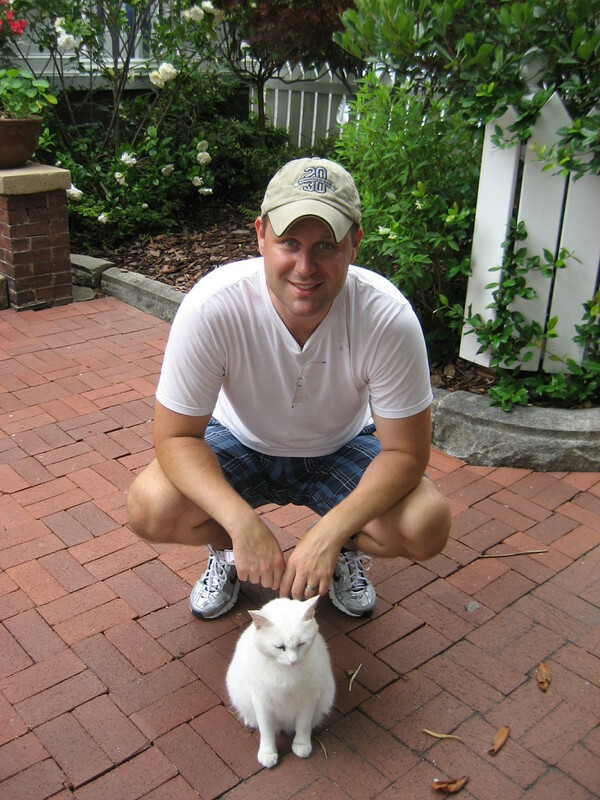 Is there a resident cat or dog? 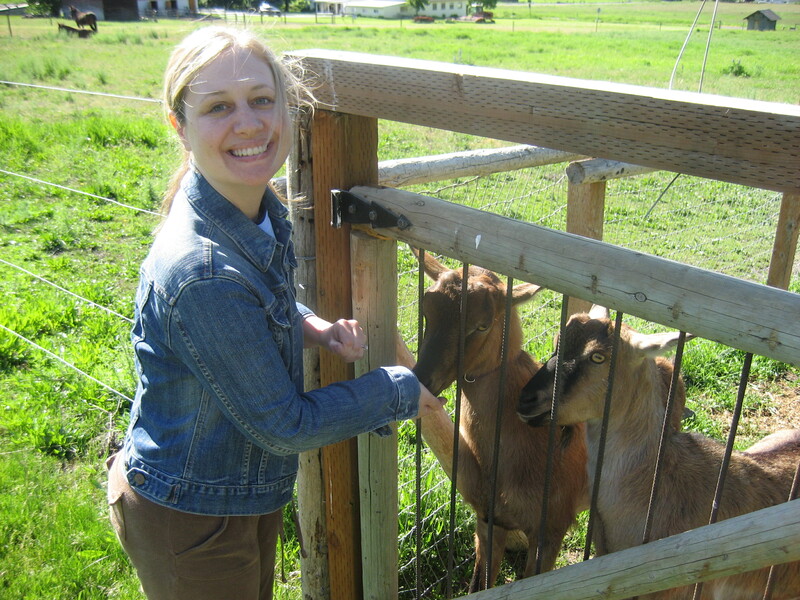 How about a couple of goats to feed? 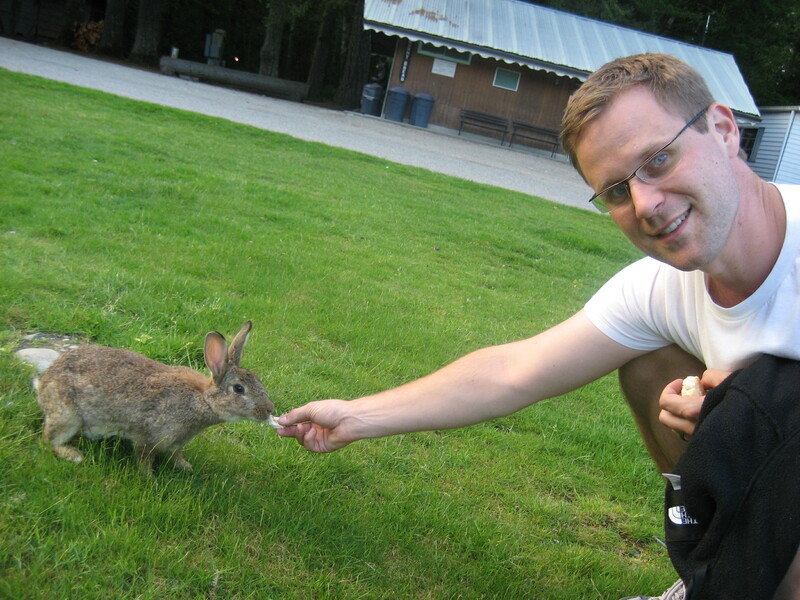 One of my favorites was this place with its “wild” bunnies. 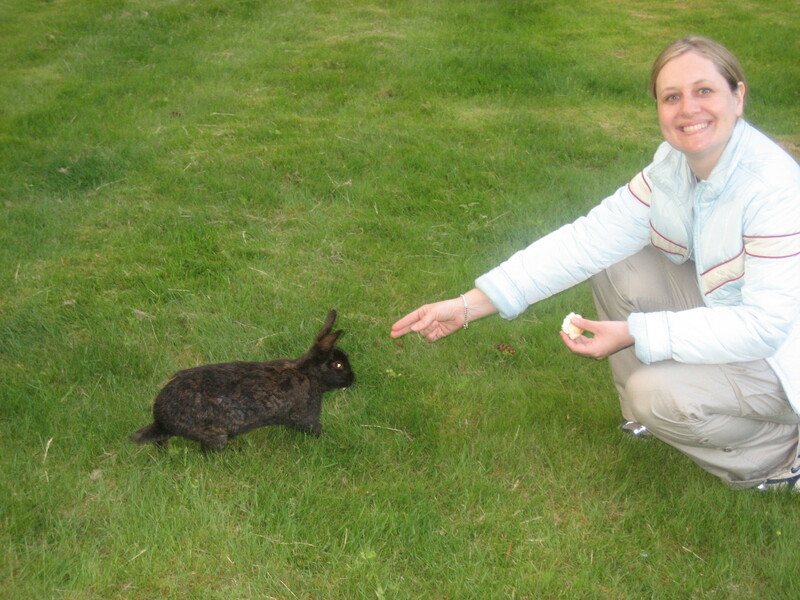 Tons of bunnies roamed the property and ate bread from your hand. 6. My husband and I decorated sugar cookies Sunday night. Monday I spent the day eating leftover frosting directly from the tub. I’m working under the notion that there is no use in letting it go to waste. 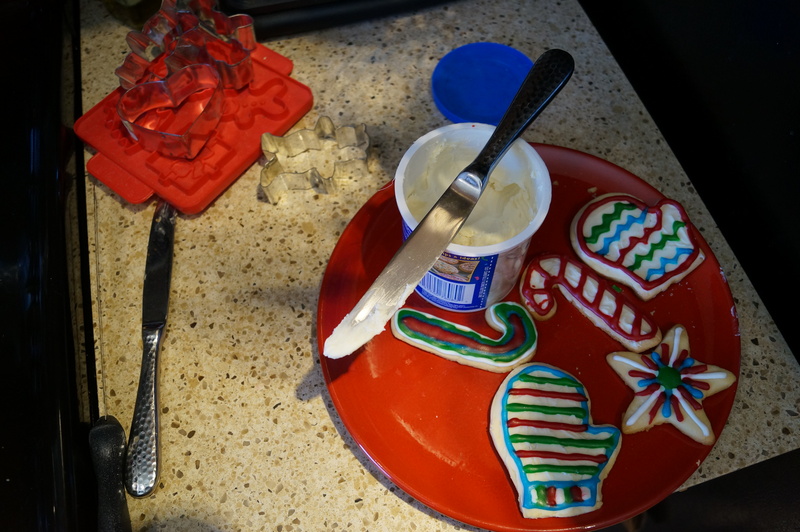 Today, I stopped the charade and am eating the cookies–with extra frosting on top. 7. 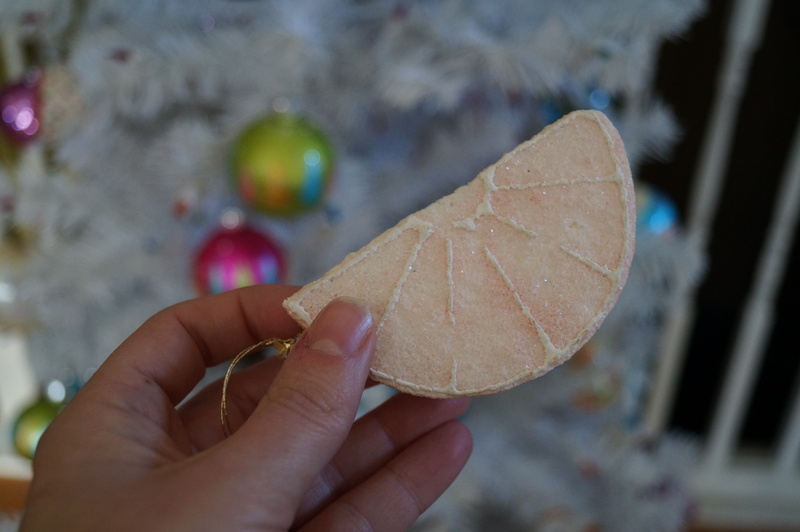 One Christmas I was either hungry, or curious, and took a bite from a fruit shaped ornament, like this one. I remember it being a little dry. It is quite a huge puddle. 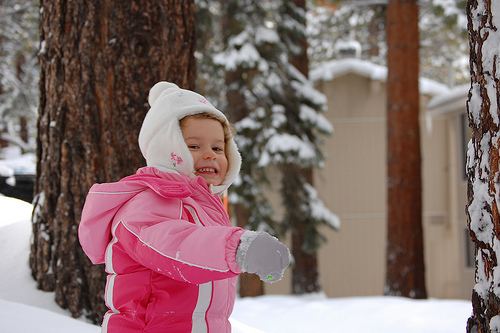 I’m just glad the snowball (or puddle) that got me was much smaller! 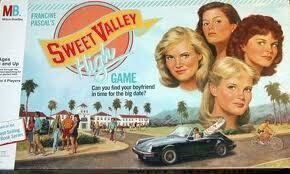 I loooved Sweet Valley High! 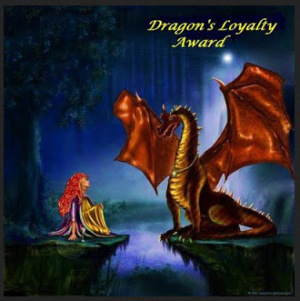 Also, I love reading your posts:) Congrats on your nomination and thank you so much for mine. I will get it up ASAP! Yes, first, congrats on the nomination. Also, the cookies look gorgeous. Hope they taste as good as they look. As for games, you were a cheater. If I tried to make you play fair, you would have a tantrum. The only way you would play a game was if you could cheat. You really liked cheating at Candy Land, you would never go back to the beginning when you picked that card. I am sure I always was the nerd and always had to go back when I picked that card. Thank you. The cookies were yummy and pretty easy to make. You have a way about accepting awards, Jennifer. You crack me up. This is one of the best award top 10ish, or 7 to be exact, ever. #3 just cracked me up! Oh and discovering veggies…lol! Thank you so much for handing this award over to me, as well. It came on a good day. You are the sweetest. I would have had to ask, too. Yuck, parsnips. You’re brave! Thank you! I am so honored by your nomination and proud to be listed in the company of some wonderful bloggers. I’d like to say how much I enjoy your blog, and offer my congratulations to you! I enjoyed reading the seven things you shared about yourself. Thank you. The “7 things” were fun to write. I had to dig a bit into my past for some of them, especially the Sweet Valley High books, but it was a fun trip down memory lane. Thanks Jennifer, I really enjoyed getting involved in this! Hoolahooped on your first date…I’m impressed he could even hoolahoop! 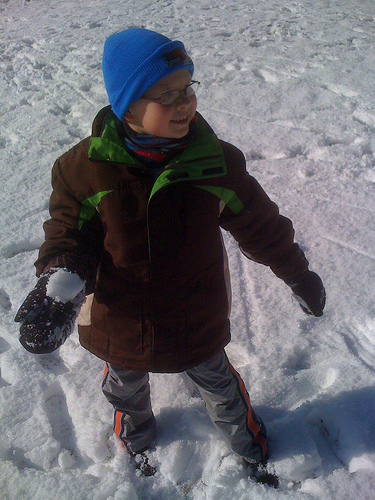 A snowball to the face on your college newspaper cover…of course, your parents were proud, lol! What a story to pass down to your kids some day, along with a photo for proof! I guess I should say he “tried” to hula hoop. He didn’t do so well, but at least he was a good sport about it. Thank you very much for my nomination, it is very gratefully received. You have a fantastic blog! Congratulations on your nomination Jennifer! Hi Jennifer, How did I not notice this before? Maybe I did, but it got lost in a Holiday blur. Thanks for the nomination. I will get to work on that. It was so fun to read your things and get to know you better. You husband sounds like a sweetheart, and a good sport. One last thing, never eat Christmas tree ornaments even those that are fruit shaped. My son’s girlfriend gave some home made mango sugar scrub for Christmas this year. It looked and smelled so good that I just had to taste it. It was made of sugar right??? Apparently that’s not all, blecch. Never eat personal hygiene products either. Good to know about the personal hygiene products. 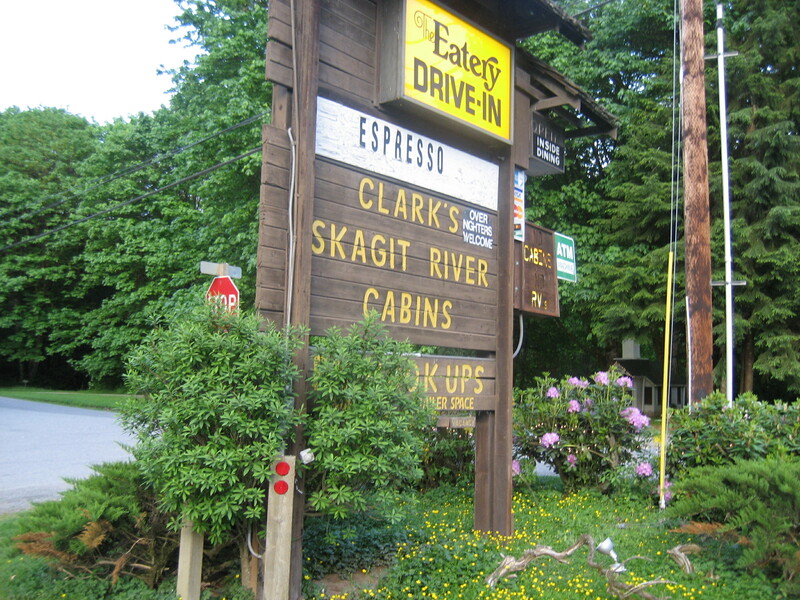 It does sound tempting, though: mango sugar, mmmm….